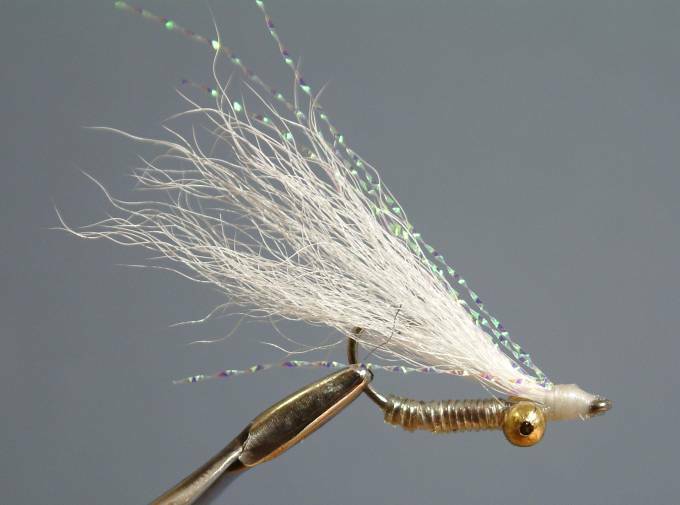 Although an easy fly to tie, it is often discounted and sits indefinitely in one’s fly box. Take them out, dust them off and even tie more. 1. Dress hook, tie in eyes behind hook eye allowing enough space to tie in the wing and flash.2. Tie in a length of monofilament and two or three strands of flashabou or Gliss n Glo of a colour of your choice at the bend above the barb. 3. Wrap the flash forward to between eyes and secure. Wrap the monofilament over the flash in the same way and tie off. 4. Tie in the wing allowing it to extend past the bend by 5 to 10 mm. Tie in the flash on top of wing. This recipe is for a standard / traditional type Charlie. When tying these, your only limitation is your imagination.